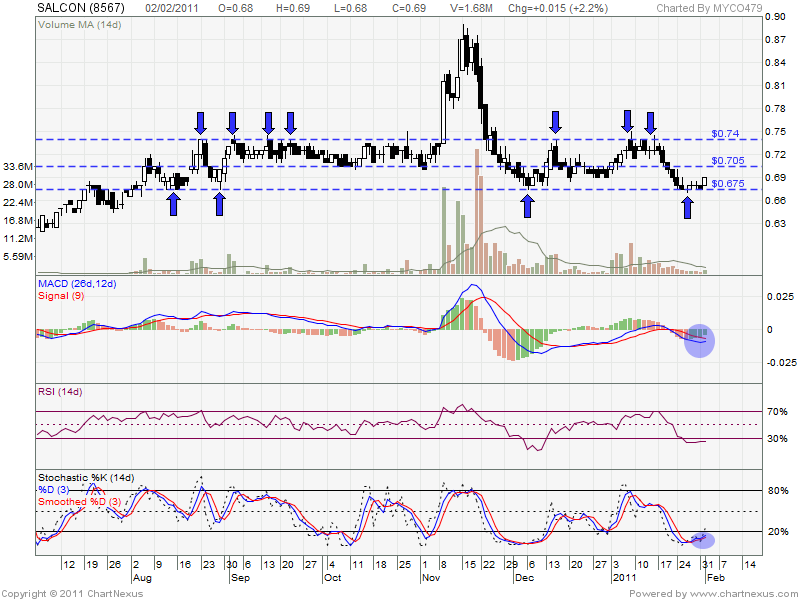 Once touching RM0.74, it will retrace down to RM0.675 level again and rebound to RM0.74. 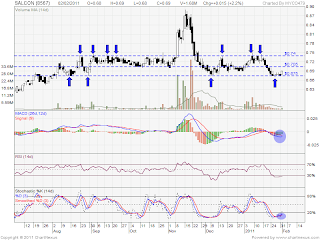 RM0.675 may defince as support level & RM0.74 is strong resistant. From MACD histogam, already turned GREEN color. Both MACD line is going bulish crossover. From RSI & Stochastic %K indicator, still at oversold stage. Stochastic %K might trigger a buy call soon.